A true Van Gogh bag! This bowling bag is fashionable and exciting: printed with a fragment of the masterpiece "Sunflowers". These bags are made of sturdy canvas with a plastic coating and zipper closure. The generous interior is padded and has a zipper compartment and a pocket for your cell phone. Practical, yet beautifully colored and styled. 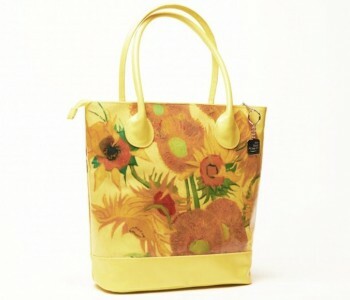 Fashionable and unusual is how you could describe canvas style Van Gogh bag. 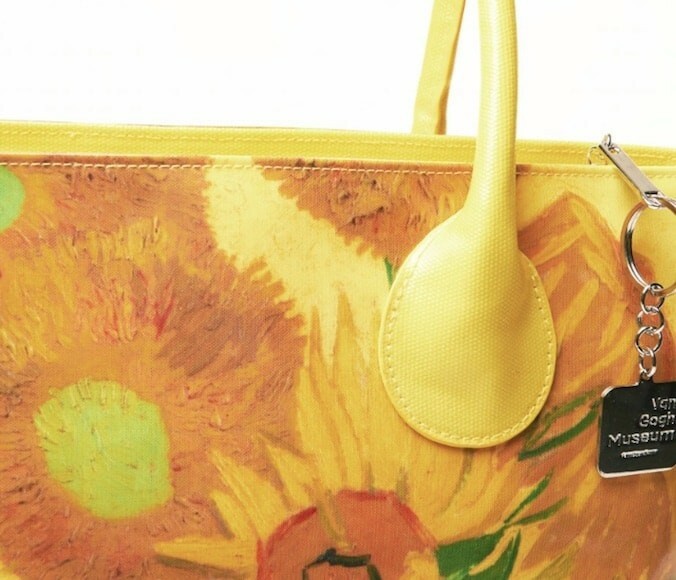 What distinguishes this bag is its print: the most characteristic excerpt from the famous painting Sunflowers by Vincent van Gogh. These bags are made of sturdy canvas with a plastic coating. The bag can be closed with a zipper, is padded, has an inside zipper compartment, and a pocket for mobile phones. Because of its generous size (35 x 40 x 12cm), it offers plenty of room to carry everything you need when you are on the go. Elegant yet practical. The sunflowers series consists of three different paintings with fifteen sunflowers in a vase and two with twelve sunflowers in a vase. Vincent van Gogh painted these works in 1888 and 1889 while living in Arles in southern France. The paintings where used by Paul Gauguin, a good friend of Van Gogh, to decorate his bedroom. Today, they can be found in five museums in as many countries. 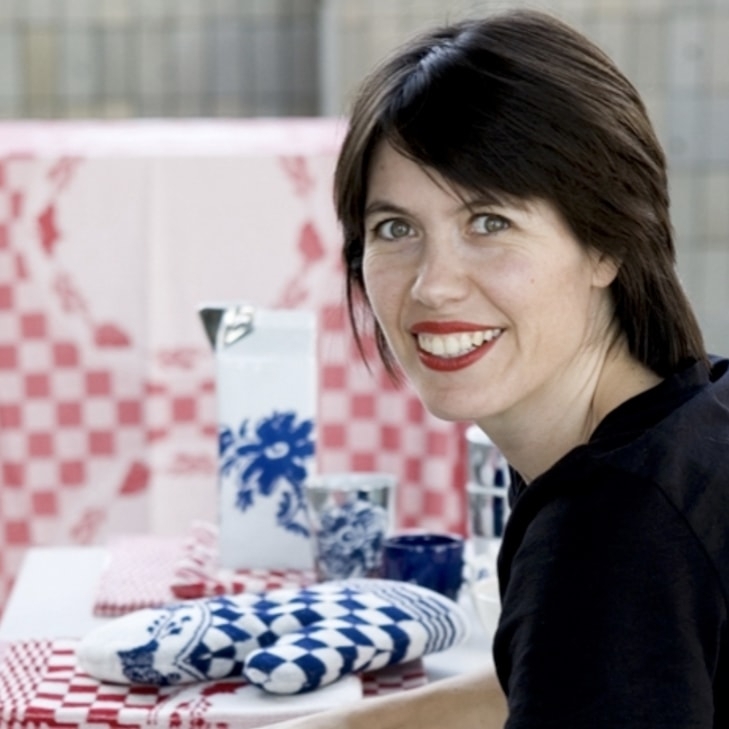 The Van Gogh bag is based on the Vase with Fifteen Sunflowers exhibited at the Van Gogh Museum in Amsterdam.